*Base on an independent clinical study of the shampoo and conditioner. Bodyography was founded in 1990 and has since been a pioneer in the cosmetics industry. The brand works in, some, fifty countries. Bodyography has the reputation of using the best ingredients, components and pigments in order to offer exceptional products. This range is aimed at everyone, from cosmetic salons to make-up artists to business women. Their objective: provide a unified solution that meets your every need. Les Contrebandiers is a French brand name specializing in products for Men’s hair care. It is, in 2017, a rare brand of French products for men, offering high-end, 100% natural products with innovative packaging. Les Contrebandiers are known for their unique Beard Oils (100% made in France) and their Shaving Creams that come from artisanal soap craftsmen of Grasse (a region in France). The Les Contrebandiers brand is concerned with the style men of the 21th century wish to adopt and be part of. They listen to what today’s men are looking for in comfort and elegance. 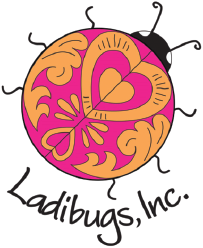 Ladibugs Haircare was created by two moms that were both registered nurses, who were frustrated with their options for high-quality hair care products. They teamed up with a chemist and tested a myriad of products, landing on a solution that includes the highest quality ingredients and essential oils. Ladibugs Haircare has a full line of hair care and cleansing products. With the help of their chemist they created a product that is anti-parasitic in quality and without pesticides to help families, children and schools eliminate lice which is natural and efficient and won’t cause burning sensation for the eyes nor bad odors. Crack is a range that consists of a shampoo, a conditioner, a rinse-free conditioner and a styling cream. All of these products help control frizz. Why use Crack? You will have hair less fragile, easier to disentangle, less broken, brighter and with less frizz. 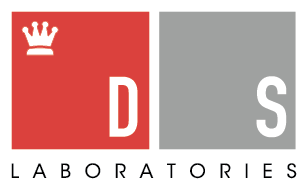 DS Laboratories is a biotechnology company passionately committed to the pursuit of breakthrough technologies and the development of products that deliver transformative solutions for compromised hair, skin and scalp. All DS formulas are firmly science-based and each DS product is an innovative solution founded on extensive research and currently available clinical research. Each DS product represents a complete rethinking of product function, uncompromising quality standards and a strict performance-driven philosophy. 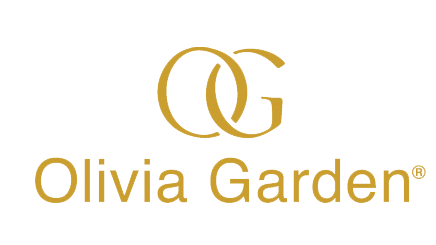 Olivia Garden is recognized worldwide for the development of innovative and quality products. This has made them a market leader in our industry for decades. Olivia Garden S.A was founded in 1968 in Belgium. Since then, they have put their growing experience at the service of creating high quality products to meet the professional needs of their customers. 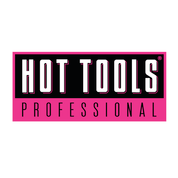 Hot Tools devices are the “norm” for professional hairdressers. Thanks to their innovations in materials, specifications and advanced ergonomic designs, such as hair dryers, flat and frizzy irons, Hot Tools have been helping stylists become creative. 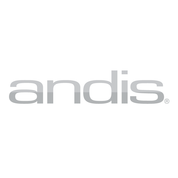 Andis is a family enterprise that was founded, nearly, 80 years ago and distributes its products to 90 countries around the world. It offers quality tools to professional hairstylists. They are well known for their hair-clippers, hair-dryers, razors, etc. They’ve been in business for many years and have become known for their quality tools and equipment which respond to the needs of professional hairstylists around the world. Theorie is a prestigious line of curling irons, flat irons, dryers and styling products that are distingished for in the industry. Theorie is passionate and dedicated to the challenging market expectations by manufacturing products for the inspirational and innovative hairstyling professionals that reflect the industry and that meet the needs of stylists. At Theorie, creativity, respect and collaboration are at the heart of their work. 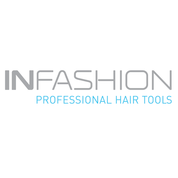 Infashion is a brand of accessories for professional hairdressers which are exclusive to Capilex. We offer quality and competitive prices for all our customers. Takano, a partner to your talent and active since 1983. They produce superior products that offer the ultimate in quality and finesse. Takano is the reference when choosing a quality Japanese scissors. They offer the widest variety of exclusive Japanese, Korean and Chinese scissors. Takano has ergonomic scissors at competitive prices. Product club is the leader in coloring accessories offering everything a colorists needs to perform coloring services. It offers more than 200 items for professional hairdressers such as highlighting strips, brushes, gloves, capes, etc. It is committed to providing colorists with the best possible tools to achieve professional results. Neo Avenue is a brand of hair extensions made of high quality natural hair. They are manufactured with 100% natural Indian, Remy type hair extensions. Neo Avenue extensions are available in a wide variety of all natural color dyed hair. They have several types of extensions. Dual Looped, Clip-in, Frame and Hot Fusion. Kasko distributes professional high-end scissors. Each pair of scissors reflect an impeccable form, finish and function. Each pair of scissors is perfectly balanced and ensures that the cutting edge is exceptionally durable. 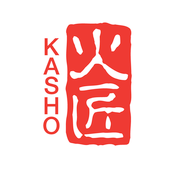 For a scissors of precision, quality and durability, buy Kasho. Euro So.Cap has been in the field for more than 40 years. It is the market leader in the treatment of 100% natural Remy quality hair extensions. Euro So.Cap decided to use only pure hair from India, since the properties of their character and structure are perfectly comparable to those of European hair. Founded 1945, Elchim has been creating dryers, flat irons and curling irons for professional hairdressers. They design lightweight, ergonomic, technological products with a well thought-out design for creating perfect hairstyles. Absolute Heat is a unique range of professional high quality ceramic or titanium hairstyling tools. They collaborate, openly, with designers and consumers to design versatile products, with high power and performance, that meet the needs of their customers. Their policy is to offer carefully tested products in order to avoid defective products as much as possible. Aboslute Heat stands for Quality. Since 1919, with the invention of the first practical electric hair clipper, Wahl Clipper Corporation has been the leader in the professional and home grooming industry. We are proud to carry forward the tradition of innovation and superior customer service that was created by its founder. Our products remain the global standard for integrity, value and efficiency. 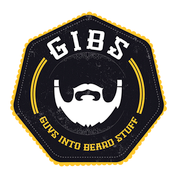 Their product line for professional barbers and beauticians has expanded with items, such as a professional salon hair dryer, shear sharpeners, shears, curling brushes, combs and attachments for hair clippers.